The Italian National Contact Point for the LIFE Program organized a LIFE Platform Meeting on the production of ceramic tile and brickwork in collaboration with EASME, Neemo EEIG and the Italian Associations of Confindustria Ceramica and ANDIL. 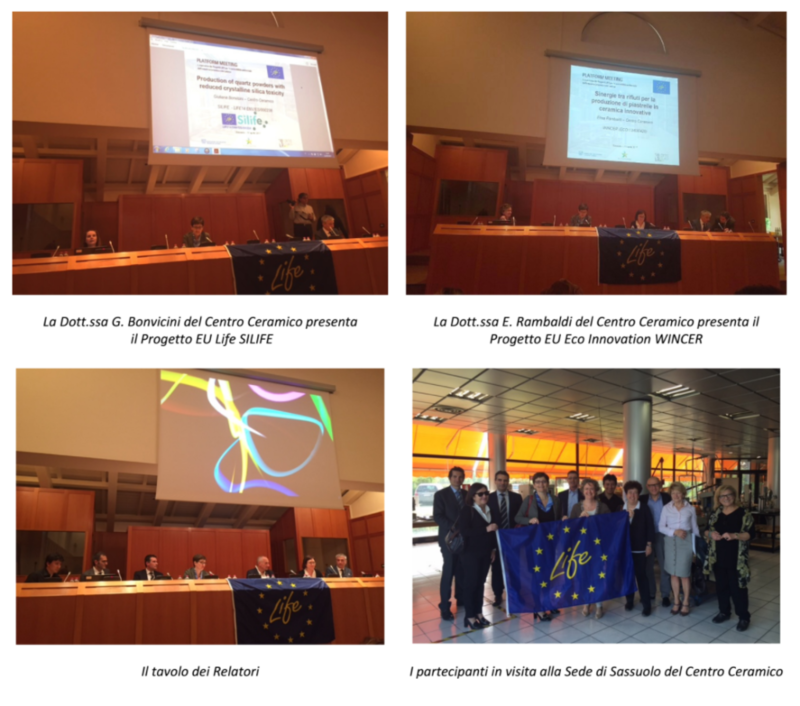 The meeting took place at the Confindustria Ceramica headquarters in Sassuolo, in the heart of the Ceramic District, on Tuesday, April 11, 2017, starting at 9:30. The event provided a detailed overview of the LIFE Project’s projects focusing on reducing emissions, water and energy consumption in the production process of ceramic tiles and bricks. In this framework, the Ceramic Center also described the experiences and results obtained through the SILIFE and WINCER Projects. At national level, the initiative has provided an opportunity to exchange best practices in these two areas.